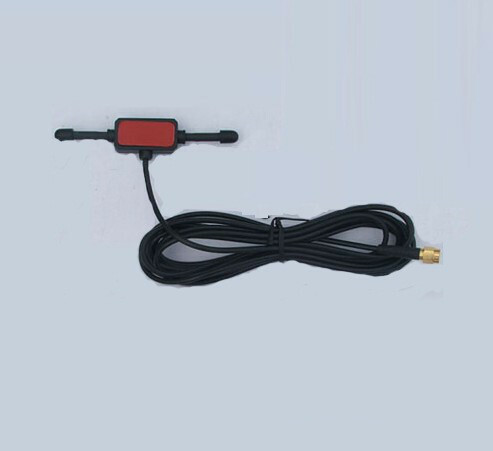 Once we were able to get help from stuntcams,and getting the ..
GSM (Global System for Mobile Communications) is the most popular standard for cellular systems in the world. GSM networks use SIM Card technology for voice and data applications. MMS is the capability to send picture messages to a phone, email, or both at the same time. Which US providers provide GSM & MMS services? U.S. cell providers who provide GSM services with SIM cards are ATT & T-Mobile currently. Verizon does not support GSM as it uses CDMA technology and will not work with any of these models. 1. Buy a SIM Card on ebay for less than $5 or at an ATT store for $25. Once purchased, you will need to contact ATT or stop into a store to activate the card. ATT will assign you a phone number to the card, then you need pick a service plan below. Note that T-Mobile provides SIM cards for free when subscribing at their stores. 2. The software in the SG580M wireless trail camera has been updated, so we no longer recommend that you buy a Go Phone for the use of that SIM card. It will not work in the SG580M anymore. We recommend that you go the company store of AT&T or T-Mobile and ask for a basic prepaid plan with unlimited MMS (texting). At the AT&T store and on the website, it is labeled as a GoPhone Prepaid plan, but this SIM card WILL work in your camera. The plan is about $25 a month. Make sure they activate your SIM card at the store. In some cases, the clerk will tell you that an additional data plan is required to send image messages. This is true for many 4G phones, but not for the ScoutGuard, as it is a 3G unit. AT&T has another prepaid plan called Text Messages Nationwide. It's 20¢ per text message and 10 cents a minute/talk. You never pay 10 cents a minute for talk because the SIM card is only used to send texts (your pictures). OR BUY A PACKAGE! You can buy an Unlimited Messaging Package for $19.99 a month. Or you can buy 1000 text messages for $9.99 a month. Make sure they activate your SIM card at the store. T-Mobile has a monthly prepaid plan of Unlimited Text and 10 cents a minute/talk for $30 a month. Again, talk minutes are never used, since the SIM card is only sending messages. An even better option is T-Mobile’s daily plan. You will be charged $1 for each day your camera sends a photo. However, there is no limit on the number of photos sent that day. Unlike AT&T, T-Mobile stores typically have a few SIM cards handy for testing. You may find it helpful to bring a laptop, and set up your camera using one these testing cards. Once this is working, you can move on to the next step, of activating and using your own SIM card. What is the filter that moves in front of the lens sometimes? The red O-ring in front of the lens is an IR-filter, it's designed to move around depending on your shooting time. When the cam is powered up, the lens will move into position. When power is shut off, it relaxes. For daytime shooting, the filter will be in front of the lens to filter off the IR light which shall interfere your image otherwise (all commercial digital cameras have such a filter fixed in front of the lens); for nighttime shooting, the IR filter will be moved away from the lens to allow IR light pass through to give you the B&W pictures. 1. I am so confused with the settings, could you please clarify? First, please confirm what model camera you have. The MG982K-10M, SG550M-8MHD, and the SG880MK-8MHD have a simple program to help you with setting up your camera. Download the setup program. The SG550M/SG580 uses the SIM card and requires some parameters to be set up correctly in order to make it work. 2. I put the SIM card in my camera and I can see the singal bar but also see the sim card icon with a x inside. What should I do? It may be the SKU number the carrier give to you for your SIM card is not correct. You can call your carrier and ask them to change the SKU for your SIM card. For example, in Atlanta, GA area with AT&T network, you should have MN21 SKU associate with your SIM card. 3. Will this camera work with any wireless network/carrier? No, it does not support CDMA or Non-Sim card network. Also, even with the SIM card carrier, the SIM card size need to be the standard size (15mm by 25 mm), micro SIM card (12mm by 15 mm) for iPhone 4 or iPad will not work. 4. How do I copy the Profile.ini file to the SD card? First, format the SD card in the camera. Then take out the SD card and put it in the computer. A window will open and show an MMS file. Double click on the file. It should open and you will see a profile. Copy the profile that was sent to you in an email or use the one provided on our website. Copy the profile and then paste it over the MMS file you just opened. You should now have the correct profile on the SD card. You should type in your phone number(s) and/or email address(es) at this time. Save the new profile to the SD card. Close the SD card window. Place the SD card in the camera. Now, double check to make sure the profile was entered correctly. Go to the "MMS Set" setting in your camera. Look at the profile in the camera and make sure it matches exactly to the profile emailed to you. If something has changed in the profile, make the changes in the camera. Make sure the MMS Mode is set to "Instant". Camera Mode needs to say "Photo". 5. Is there a easy way to change the parameters? Yes, you can change the MMS setting by editing the profile.ini file on your computer. 6. In MMS setting, do I have to fill the Account and Password field? No, you don't have to. Only some telecom operators need to set account and password to launch MMS. 7. I have all the settings correct. The camera will show sending, but I am not receiving anything. Turn on the password protection on your camera and try again. The default factory password is 0000. 8. I'm getting an error code response while trying to send. 9. How do you manually send a photo? Go to the MMS Mode setting in the Menu. Change the MMS Mode to Manual. Press the Menu button to go back to the 1st screen. Make sure you have a photo on the SD card. If there is a photo on the SD card, it will appear. It will ask "send MMS". It will search for a network signal. When it says "Normal Signal", the camera will start sending the photo. It goes through a 10 step process. If it is sent successfully, the screen will say "sent successfully". Look in your email or on your phone to see if the photo was received. 10. What is the maximum resolution the pictures will send at? The SG550M will send pictures over MMS at a maximum resolution of 640x480, while the SG580 sends at a maximum of 320x240. 11. What does network busy mean? This happens when there isn't enough signal, no balance on your SIM card or your provider may have given you the wrong SIM card. 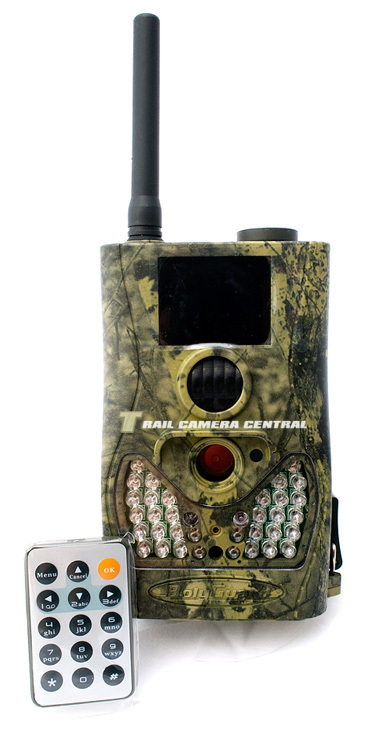 The displayed shipping price is for '1' MMS Trail Camera Support ScoutGuard SG550M / SG580 / SG880MK. To find the shipping cost for all your items, please view your cart.